Updated image! Inspired by Chalgyr's background image! We have finished unwrapping gifts and the Beans are currently playing with a few of them right now. While things have been slower on the site the last 2 months, I just wanted to take the time to wish you all a very Merry Christmas! I hope you all are having (and/or have had) a great Christmas, and that you get to spend time with family and friends, and perhaps get a gift or two. Hopefully, you can drink some coffee and maybe even find time for some games today! Bean 1 and Bean 2. 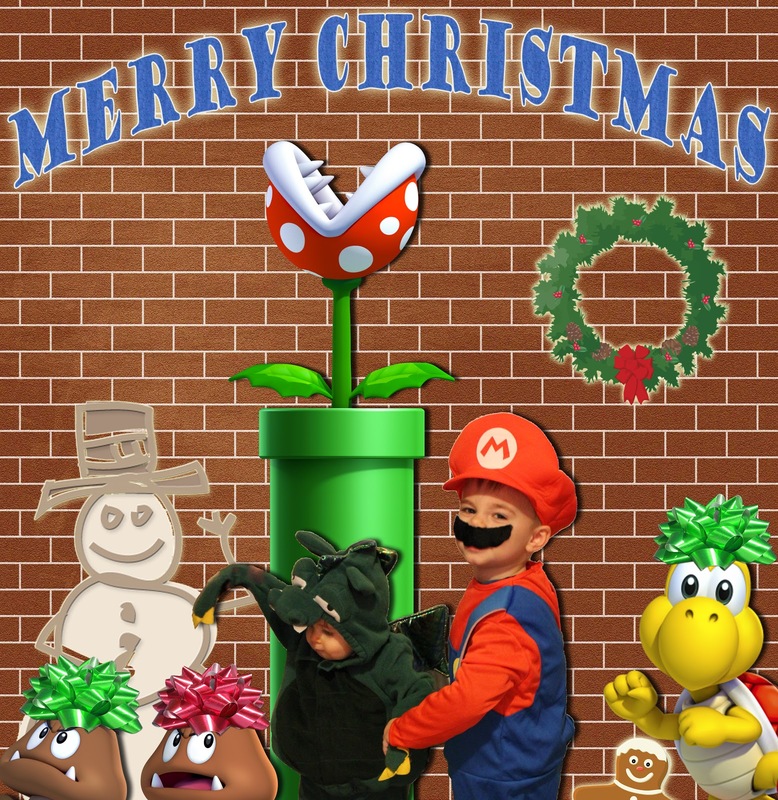 Mario and a Koopa? Kritter? Take your pick. Just have a Merry Christmas! Original image that was above. November Brewed - Coffees consumed, games played, & a Wii U game finished! 3) Nintendo's U.S. Wii U TV advertising. Marketing genius, or marketing failure? 4) Call of Duty? Conduit? GoldenEye? Metroid? What is the most played FPS Wii game in the U.S.? While I didn't post as much in November as recent months, I did get a good bit of gaming done and drank lot of coffee during the month. What coffees did I consume, and which Wii U game did I complete? Brew yourself some coffee, and let's take a look! We finished using the Gevalia Espresso Roast very early in November, and enjoyed it while it lasted. November then consisted of us using our coffee grinder a good bit. We ground up some of the Kona Blend Coffee that was another birthday gift to me back in October, from my brother and his family. We have enjoyed the Kona Blend and have enough to last us a little while longer, if we start grinding it up. We finished the month of November using the Maxwell House Master Blend coffee and the Maxwell House Original Roast coffee; both the 200+ coffee cup containers. The skimmer list for games played in November is: Rage of the Gladiator (iOS and WiiWare), Mario Kart Wii, Super Mario Bros. 3, BIT.TRIP RUNNER, Mutant Mudds, Max & the Magic Marker, Nintendo Land, ZombiU, Trine 2, and Call of Duty: Black Ops 2. 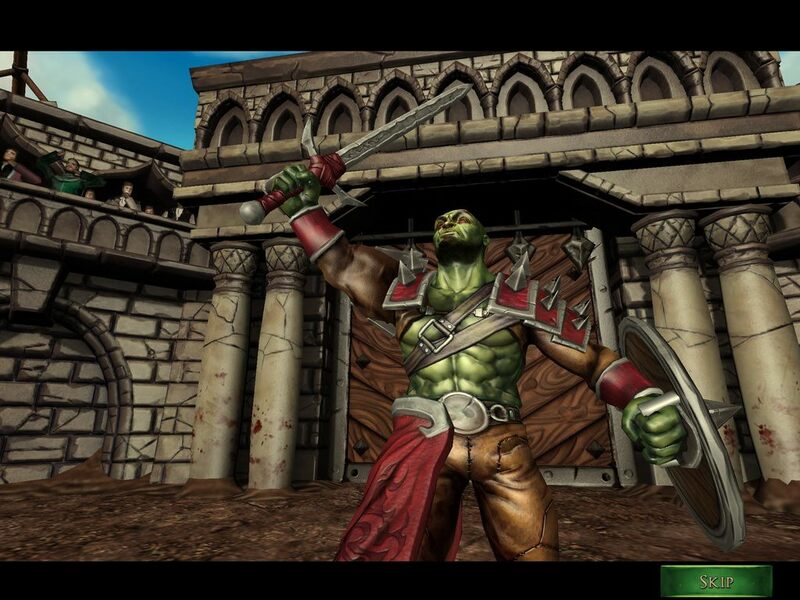 Rage of the Gladiator - If you don't know, Rage of the Gladiator is now available for your iOS devices and soon to be Android devices as well. The game has a price of just $2.99, and has all of the WiiWare content/bosses included, with some improvements. 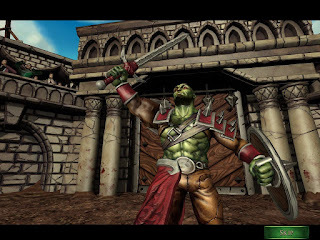 The game was ported over by a different developer though, Gamelion, while Ghostfire Games remained involved in the process. Ed, from Ghostfire Games, contacted me over the summer and asked if I would be interested in helping test it out, and help some on the community front. Gamelion seems to be very active on the developer community front though, so I was able to more of less help out with the testing of it, and see how it progressed through development. Mario Kart Wii - Bean 1 randomly requested this one I think in October, and he kept playing it early in November. He has now graduated to Mario Kart DS though, since our New Super Mario Bros. DS cartridge randomly freezes in levels now; which results in a very sad Bean and me randomly finding the game cartridge shoved under his door. Super Mario Bros. 3 - This was another one Bean 1 and I randomly played early in the month, but not very much of it. BIT.TRIP RUNNER - I. SURVIVED. THE GAUNTLET! So, I started this from Mrs. Coffee's gift from my birthday, the BIT.TRIP COMPLETE set, and I am in the third world so far (I think the last as well). I'm really enjoying my time with the game, and it is definitely challenging. I can see why some people might not like these type of games, due to the difficulty, but when everything flows together so well, it really is a great experience. Mutant Mudds - Could I complete the main levels before IncompleteGaming? It wasn't meant to be! But, I am still enjoying my time with Mutant Mudds, and find myself randomly trying to beat the levels from time-to-time, sometimes with Bean 1 watching. Other times, I'll be voluntold by him to play the game; even if it's a delay tactic right before he goes to bed, sometimes I'll play a level a few times trying to beat it. Max & the Magic Marker - This was one I hadn't played in a long while, but Bean 1 found it on our Wii's SD card and fired it up one day. I showed him a few things in the game, and he actually got the hang of drawing/erasing pretty quickly, and was soon off running around the level having fun. I didn't play it much, but it did make me hope that we get a Max & the Magic Marker HD sequel on the Wii U now. Not only could the game still support Wii Remote and Nunchuk controls, but I think using the GamePad to draw in the game would work very well also. LittleBigPlanet - This is another game, like Super Mario Bros. 3, that I find myself playing most often with Bean 1 watching and/or being voluntold by him to beat a level in it. We have made pretty good progress in the game, but Bean 1 has discovered how to find the user created levels, and watching him run around in the Nintendo-Mario themed levels is a lot of fun, and some of them are incredibly well designed. Fat Princess - This is a demo I had downloaded on our PS3 for a long time, but never played it. Bean 1 randomly requested I give the game a try one night, so I did having no clue what to expect. After not winning the first night, and just running around the battle losing, I turned it off defeated. After figuring out what to do the second night, winning became a lot more achievable, and I can see why this game was pretty popular when it first released. If you haven't played Fat Princess, you should be able to still find a demo for it on the PSN store, and give it a try. Nintendo Land - I briefly talked about my time with Nintendo Land in my Caffeinated Thoughts on the Wii U piece, and I have since played it a bit more. I actually put more time into Metroid Blast and The Legend of Zelda: Battle Quest. I am really enjoying Metroid Blast, and The Legend of Zelda: Battle Quest is surprisingly better than I was expecting using the GamePad controls. Bean 1 and I completed one of the Battle Quest missions together, with me using the Wii Remote+ and him using the GamePad. So, while he figured out the GamePad controls I was able to swing away and help keep us going for a bit. It was actually a lot of fun, and we completed the mission we did together. ZombiU - This is the Wii U game I completed in November. It kept me coming back to it, night after night. 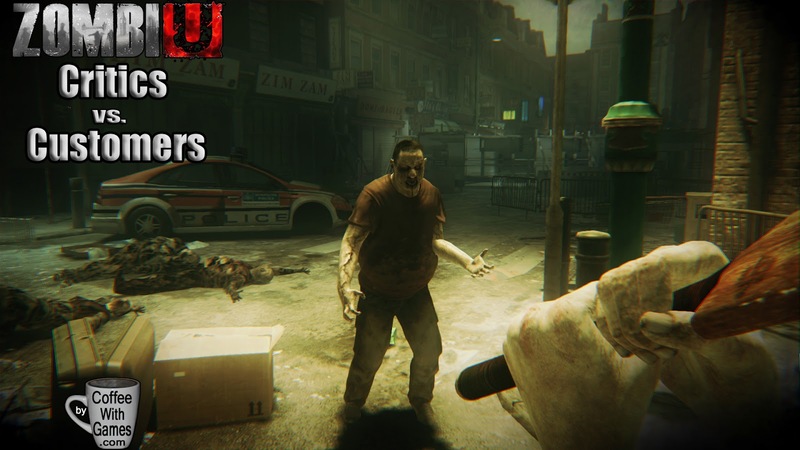 If you can go into ZombiU not expecting it to be perfect, but expecting a different experience, I think you will enjoy it. Go in thinking survival horror, even with a sense of survival terror thrown in; and don't go in thinking you will be burning down rows-after-rows of zombies with guns, and don't think your melee weapon will be wielded like a lightsaber (for SHAME!) delivering you up 1,000 hit combos. I really don't understand the mindset of some of the early reviewers on ZombiU, complaining about things like the melee combat in the game, since the melee combat is one of the very things that helps deliver the mood of the game. It's as if the "reviewers" were expecting a guns-a-blazing game, grabbed the wrong game and perhaps realized they got ZombiU only after getting home. Reading some of the reviews appears they were expecting to get Resident Evil 5 or 6 action based game instead; I just don't know. Also, many of the early reviews have incorrect information (entire paragraphs in some), and leave out alternate, relative, information (if you tell me the game has "Low" replay value, but fail to tell me if you beat it, how many hours it took you, or how many survivors, I can't really judge much on the replay value). One even complained about scanning with the GamePad via motion controls, but FAILED to mention an alternative default control option for doing the same exact action in the game. Trine 2 - Is this The Princess Bride of video games? It's told via storybook like the movie was, and the game definitely has a good assortment of characters from the start. The sense of humor in the writing is there so far, and the way the characters interact with each through dialogue randomly as you progress is a nice touch as well. Have I said how incredible the game looks? I really hope that NSMBU looks this good, or there might be a "Caffeinated Thoughts! 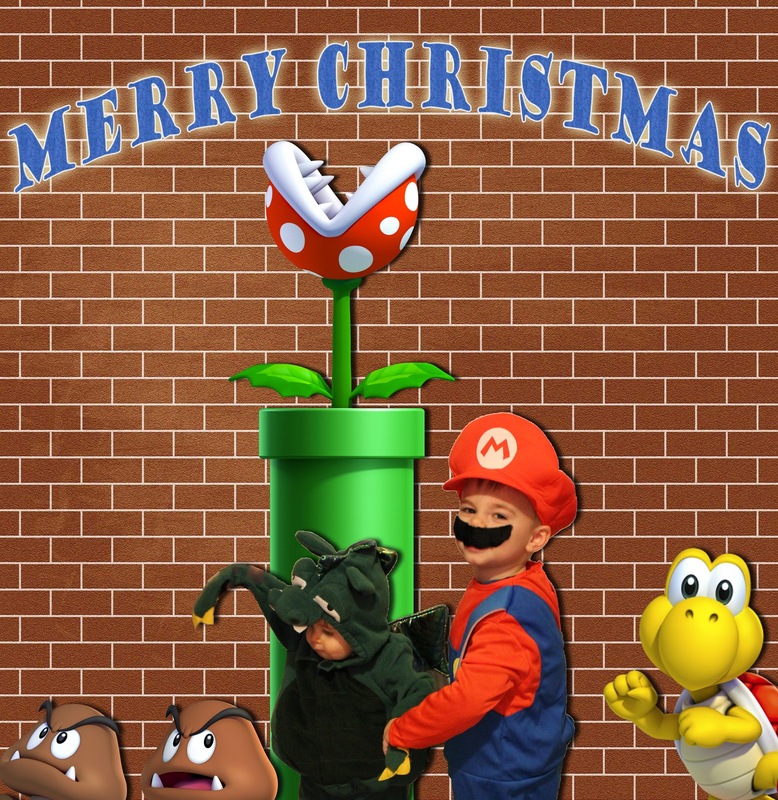 Nintendo is LAZY!" post incoming. I actually now pretty much use only the GamePad when I'm playing Trine 2, not even looking at the TV. Perhaps once we get a new HD TV, that will be remedied? The GamePad play is really great though, and very convenient for lounge playing late at night on the couch. I haven't tried the online yet, but Bean 1 and I did complete the first section together, and I have since made pretty good progress in the game (I think), playing through about one section each night this last week. If any of you have Trine 2 on the Wii U and want to play it online, feel free to add my NNID to your Wii U friend list: Coffees. Call of Duty: Black Ops 2 - That's right. The future is black coffee, and Black Ops 2. I have been playing Black Ops 2 on the Wii U, though most of my time with it in November was the very last night of the month. I have played a bit of the single-player campaign and the multiplayer, and the streaming of the game to the GamePad is done very well. Now, I will say for some reason the game doesn't use up the entire GamePad screen display when it streams to it. I'm not sure why it displays the way it does, but it works very well nonetheless, and I found myself using the GamePad streaming feature quite often my first night with the game. Did any of you get a Wii U in November, and if so, what games have you been enjoying on it? If you didn't get a Wii U, but have been gaming in general, are there any games you would recommend that you played during the month? Again, if you missed my "Caffeinated Thoughts on the Wii U" piece, my Wii U ID is Coffees, and feel free to add that to your Wii U friend list, and I'll add you back! As always, if you have any questions about the coffees I consumed or games I played during the month, feel free to leave a question below or send me an email to: Scott(@)CoffeeWithGames.com.